Daisy Ridley and John Boyega were guests on The Graham Norton Show recently promoting (what else?) Star Wars: The Force Awakens. When actors are interviewed, it provides a fantastic forum in which to learn body language - for even though they are essentially, professional liars - skilled and paid to deceive us (within the context of a social contract known as acting [e.g., we WANT to be fooled]), when Daisy is just being Daisy and John is just being John, they no better at hiding their true feelings than are the rest of us. Whenever the central forehead is contracted and elevated (aka a CFC or elevated-CFC) simultaneous with a partial mouth smile - there are three primary emotions which should always come to mind. 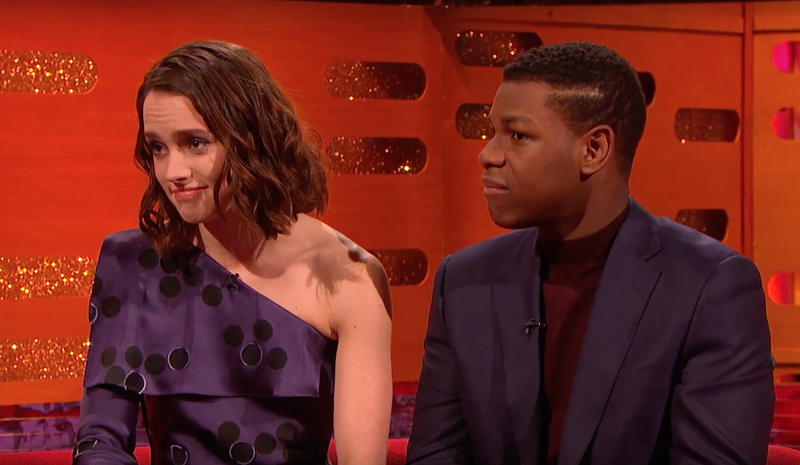 One of these body language tells is exampled wonderfully here on Ms. Ridley's face. 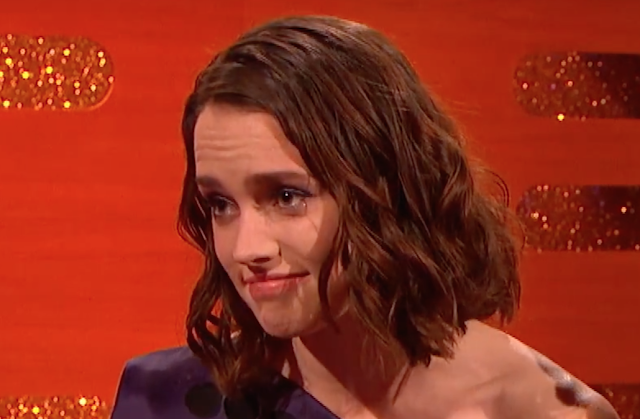 This image (cropped from the one above) was captured (during 0:56) just after Daisy recounts her father's reaction after she told him she had be casted in a Star Wars film. Her father said, "Oh, I was always more of a Trek fan". It's important to note that this partial "mouth smile" is not a sincere smile at all. In addition, notice that Ridley's eyebrows are also elevated. This is a classic expression of incredulity/disbelief. What are the other two emotions seen with an elevated CFC in conjunction with a partial (and insincere) mouth smile? 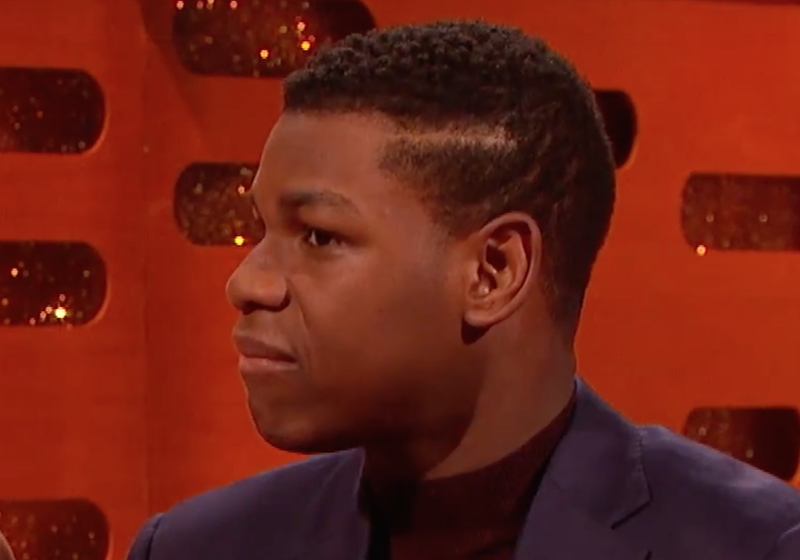 Although we cannot see his whole face, what emotion is John Boyega feeling at this same moment?